It’s officially spring! I’m excited for it to get to get a little warmer here in Texas, so I can drink cold drinks like this one. This drink has such a vibrant spring color that makes my eyes pop, and tastes so good. This drink is always my go to for a fruity beverage. Put ice at the bottom of the blender then add the other ingredients and blend, serve immediately and enjoy. Add ice until extremely cold. QOTD: What is your favorite thing about spring? I love the flowers changing colors and the weather warming up! I love these smoothies. They taste amazing! The mango flavor tastes so good! In my country we call these lassi. Hi, again! 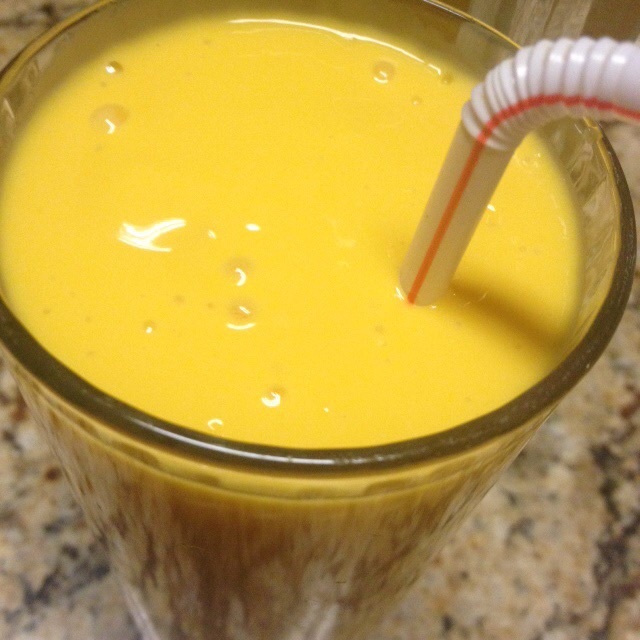 In most South Asian countries this drink is known as Mango Lassi. Thanks for the comment :). I know right! The mango flavor shines through.